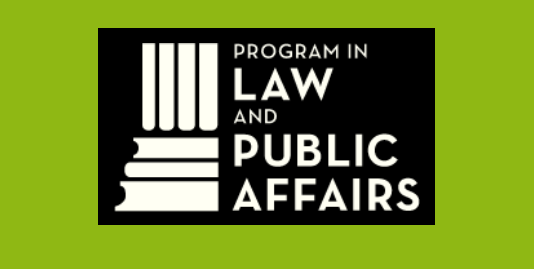 The Program in Law and Public Affairs (LAPA) at Princeton University invites outstanding faculty members of any discipline, independent scholars, lawyers, and judges to apply for visiting, residential appointments as LAPA Fellows for the academic year 2016–2017. The submission deadline is 5:00 PM (EST) Nov. 16, 2015. LAPA Fellows devote the major portion of their time to their own research and writing on law-related subjects of empirical, interpretive, doctrinal and/or normative significance. In addition, LAPA Fellows are expected to be in residence for ten months and participate in LAPA programs, including a biweekly seminar, a weekly luncheon discussion group, as well as some public events and conferences.